Order today and we deliver! Sending Edible Arrangements is as easy as sending flowers and just as affordable. Prices for our Edible arrangements start at only $39.00, up to $229.00, pickup or delivery. 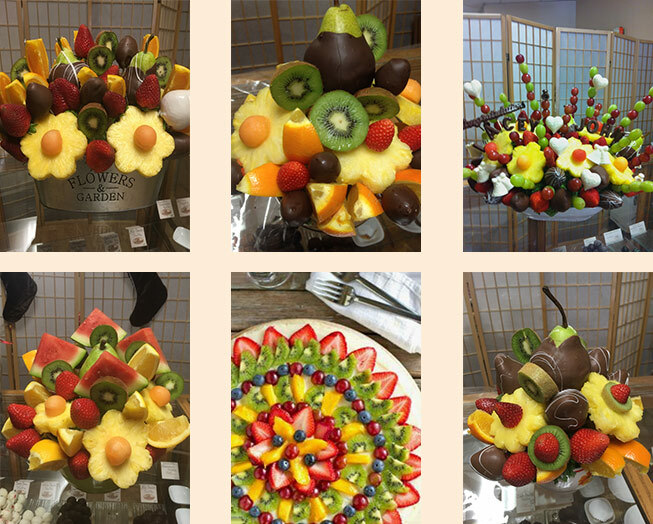 Edible Arrangements Fruit Bouquets and Centre Pieces keep your guests entertained. Bella compliments arrangements with Bella Chocolatier's Premium Dark Chocolate dipped portions of fruit. Edible Arrangements are great for all occasions!